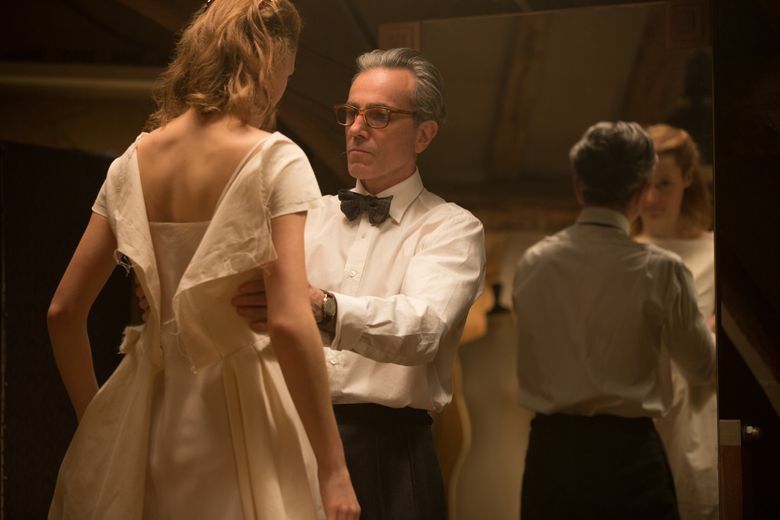 Movie review: Like all Paul Thomas Anderson movies, “Phantom Thread” is both strange and mesmerizing. 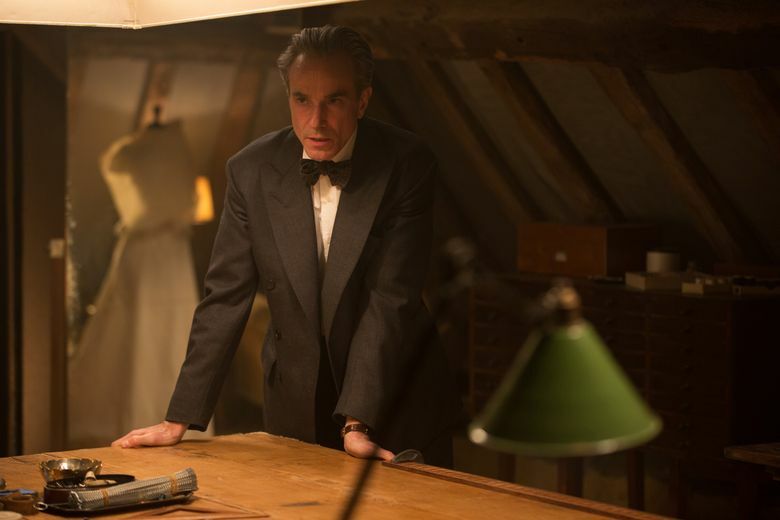 Daniel Day-Lewis, who has said that this will be his final screen performance, turns in a masterpiece of silky irritability as 1950s fashion designer Reynolds Woodcock. 4 stars out of 4. 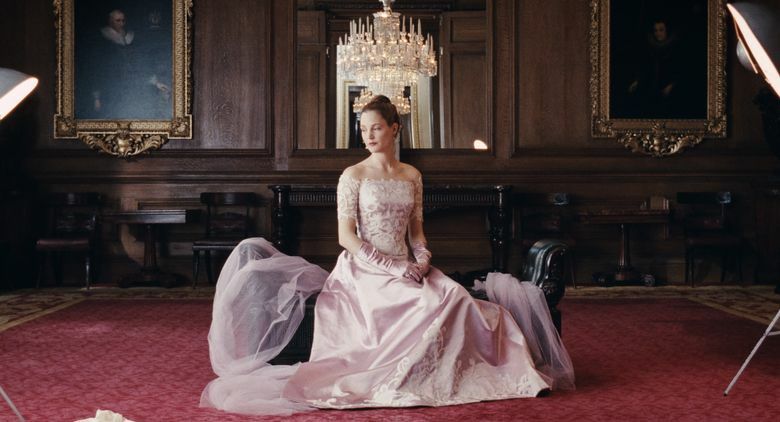 Paul Thomas Anderson’s “Phantom Thread” casts a remarkable spell; it wraps around you, like a delicately scented cashmere shawl woven from music and color and astonishing faces. Set in 1950s England, it’s a story in which little, on the surface, happens. Reynolds Woodcock (Daniel Day-Lewis) is a fashion designer whose elegant atelier (upstairs in his London town house) creates meticulously constructed, beautifully restrained clothing for wealthy socialites. 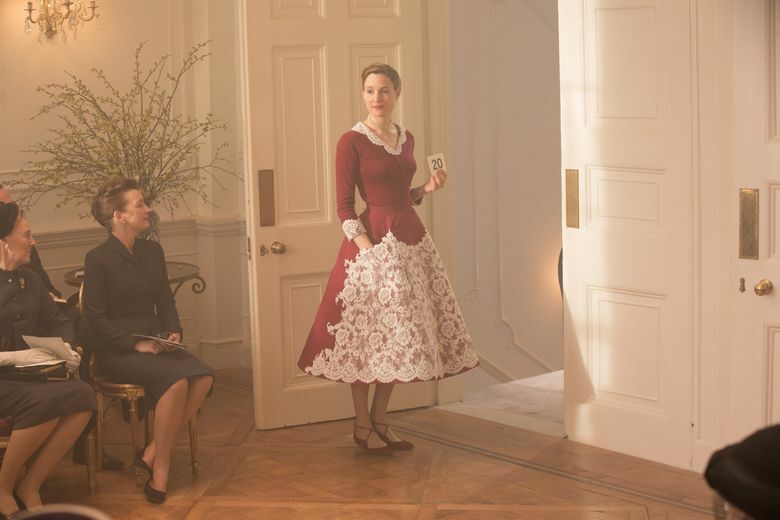 A young waitress, Alma (Vicky Krieps), catches his eye and becomes his muse and his lover — to the dismay of his imperious sister, Cyril (Lesley Manville), who runs her brother’s business. Because this is a PTA movie, the relationship between Reynolds and Alma takes an odd turn. Exquisite garments are constructed; glorious music is played; and three actors quietly take us on a journey. But Anderson weaves in his own touches. Acting as his own uncredited cinematographer, he drenches the film in faded but still-rich color (like Technicolor worn soft), buttery walls and gentle firelight. Sound is amplified: we hear the metallic scrape of butter on toast, the tiny click of a hook-and-eye fastener on a dress, the sigh of a pin decisively puncturing satin. Mark Bridges’ costumes act both as armor (note the ruthless simplicity of Cyril’s exquisitely fitted black dresses) and as art. And that music, from Jonny Greenwood, doesn’t so much amplify the drama as dance and whirl with it, in both unison and counterpoint. ‘Phantom Thread,’ with Daniel Day-Lewis, Vicky Krieps, Lesley Manville. Written and directed by Paul Thomas Anderson. 130 minutes. Rated R for language. SIFF Cinema Egyptian (expands to additional theaters Jan. 19). 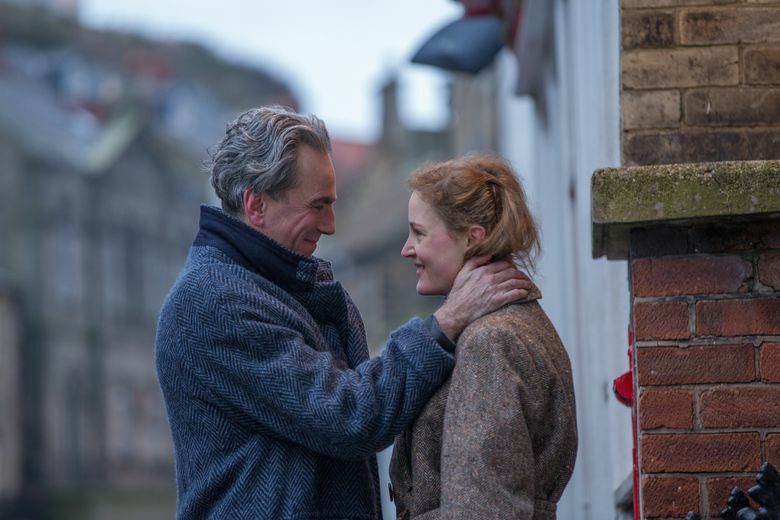 “Phantom Thread” won’t suit everyone; it goes to some undeniably weird places, and its deliberate pace will be off-putting for some. (“I did not get that. At all,” was a comment I overheard while leaving the screening.) But I hung on every minute, for the visual beauty, the celebration of clothing as artistic creation and the master-class in acting given by the three principles. Krieps (“Hanna,” “The Chambermaid”) has the kind of face that seems to change with the air. Her Alma, who sometimes seems made from the film’s soft light, is both guileless and knowing. Manville, long a mainstay of Mike Leigh’s movies (check her out in “Topsy Turvy” or “Another Year’), lets us see Cyril carefully arranging her expression before opening the atelier door; this is a woman constructed as meticulously as Reynolds’ gowns. Never mind that pin; her gaze could pierce any fabric. And Day-Lewis, who has said that this will be his final screen performance, turns in a masterpiece of silky irritability. Dressed in tailored suits and perfectly tied ascots, his silver hair forming twin inverted commas over his brow, he creates a man obsessed with perfection. His voice is slow, like pouring cream, and filled with languid frustration; Alma both fascinates and annoys him. (“I think they’re well and truly shaken now,” he drawls, as Alma takes too long to toss backgammon dice.) In silence, his face tells stories, whether gazing at a woman or a dress. If this is truly the last one he tells for us — and I hope it isn’t — what a note on which to go.